Your home is probably the most expensive thing you’ll ever own, and that expense goes beyond the closing price. There’s the cost of the house, but then there are other ongoing and upfront expenses that can catch you off guard. Especially if you’re a first-time buyer, it helps to know what you’re getting into. Legal fees and expenses: You’ll want your lawyer to review the terms of the offer. (S)he will also deal with the mortgage, do a title search, register a new title, and get the documents needed to figure out the adjustment costs. Home inspection: You put an offer on a home, and it got accepted. Hooray! From here, inspections will be your first major expense. Yes, there may be more than one inspection. The inspector’s report should outline costs of repair or replacement where needed as well as comment on the condition of the property relative to others of the same age, which will speak to how well the home has been maintained. Adjustment costs: You have to reimburse the vendor for pre-paid costs such as property taxes, filling the oil tank, and utility bills such as gas, hydro and water. Appraisal fee: How does the lender know you’re not over-paying for your home and, as a result, trying to borrow way more than you should be relative to the property’s actual value? Simple. They make you pay between $150 and $250 to have the property appraised. If you throw your financial weight around – assuming you have any financial weight — they may waive this fee. Land Transfer Tax: Unless you live in Alberta, Saskatchewan, or rural Nova Scotia, you’ll have to pay Land Transfer Tax (or property purchase tax). Provinces have complicated multi-tiered taxation systems. In Ontario, for example, 0.5% is charged on the first $55,000; 1% is charged on $55,000 to $250,000, and 1.5% is charged on $250,000 to $400,000. GST: if you’re buying a new home or a home that’s been extensively renovated, you’ll have to pay GST. However, you may qualify for a partial GST rebate if your home is purchased to be your primary residence and depending on the sale price. For homes valued at $350,000 or less, you’ll qualify for a rebate of 36 % of the GST paid, to a maximum of $8750.00. For each $1000 purchase price above $350,000, the maximum rebate of $8750 is reduced by 1%. If your new home costs $450,000 or more, there is no rebate. A property survey: Sometimes requested by the lender, a survey is done to verify the property’s boundaries, measurements, and structures and identify any easements, rights of way or encroachments on your, or adjacent properties. If the seller does not have one or does not agree to get one, you will have to pay for it yourself. Title insurance: Real estate title or mortgage fraud is on the rise and if your title comes into question, the costs can be huge. Enter Title Insurance. Very big in the U.S., it is a relatively new product in Canada and is often offered as an alternative to a survey. It shouldn’t be. The survey is too important. Interest adjustment: The calculation of interest from the closing date to the date the first mortgage payment is calculated from. Let’s say you close on July 17, the interest adjustment date would be from July 17 to August 1, the day when your first full mortgage payment is due. Water quality inspection: If you’re moving to a property that gets its water from a well, you need to know if that water is potable. The only way to know is to have the water tested (best on three separate dates, including after a heavy rainfall). Check with neighbors if you can to see how reliable the water table is in the area. You can negotiate these costs with the vendor and list them in your Offer to Purchase. Hook-up fees: Service charges are applied to hook up utilities such as electricity, gas, and telephone service. Make sure you have a couple hundred bucks set aside for this. Moving costs: Sounds obvious, right? Lots of people don’t think about this cost until they’re taking possession of their new home. Then they panic. Moving costs will depend on the distance of the move and the amount of stuff you have to be transported. Get at least two estimates since costs vary. One way to minimize your moving costs is to try and move off the peak periods. If you move on the 10th of the month or on the 22nd of the month, the movers won’t be as busy and you may get a better deal. 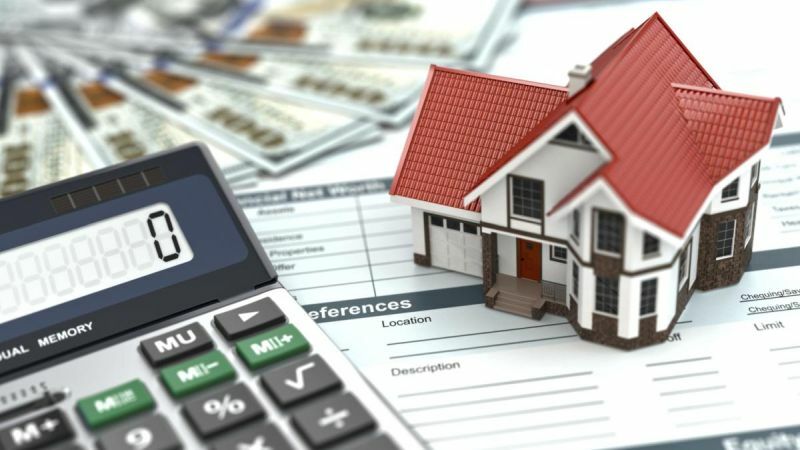 Home insurance: If you have a mortgage, your lender will insist that you have enough home insurance to cover total since the property is their security for the loan. Your lawyer will need confirmation that insurance has been arranged. 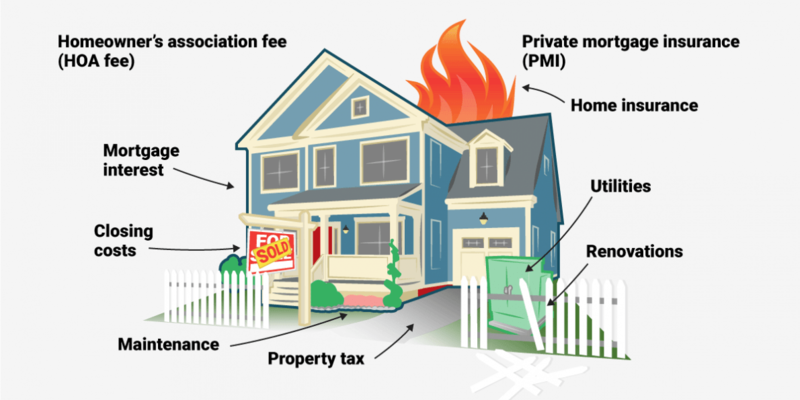 Should your house be completely destroyed, the insurance company is required to pay the lender first. You will still own the lot but will have to negotiate with a lender to borrow to re-build. Home insurance is priced based on the value of your home and current reconstruction costs. Condo or Strata fees: If you are buying a townhouse, condominium, or gated community, you may be charged a monthly fee to cover the costs of common area maintenance. Maintenance: You should have at least $2,000 set aside for the first couple of things that go wrong in your new home. It’s inevitable. Something will leak. Something will break. Something will fall off. If you’re buying a brand new home, stuff may not break, but money will still have to be spent… to build a fence, to landscape or lay down sod, to finish the basement. Set aside between 3% and 5% of the value of your home (land excluded in really expensive areas) for maintenance every year. The 3% applies to newer homes. So if you’ve just bought a home worth $300,000, expect to spend $9,000 a year for upkeep. It may not happen every year, but there will come a day when the furnace must be replaced, the roof re-shingled, the drive-way repaved, the appliances replaced, the walls repainted, the hardwood floors refinished, the pool relined etc. For more information and tips log on to Agent ReVa.